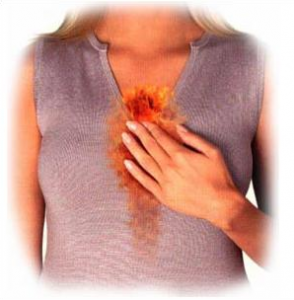 I Want To Personally Help You Put An End To Your Bile Reflux or Bile Gastritis Problems. My name is Kathy Stenson and I was once plagued with this horrible condition just like you probably are. In fact, I had really bad bile reflux for YEARS. After visiting many specialists, doing a lot of my own research on bile reflux treatments, causes and more, not only did I regain my health, but I wanted to create a user-friendly, no non-sense website on the subject. That’s how this site came to be. In this website, you are going to learn HOW bile reflux (sometimes referred to as bile “gastritis”) occurs, they typical symptoms, various methods and treatments available, and even unique diets to not only help you overcome your own case, but to make you feel healthier, happier and stronger than ever! Right now, you are probably experiencing burning, cramping, abdominal tightness, and you may even have acid or heartburn issues going on. You’ve probably tried over-the-counter medications that only give you minor relief, and you worry if you maybe this will become a chronic condition. All of these feelings are normal, I can assure you. I’ve been there. I know how frustrating it can be! The first thing you need to do is understand WHY you are plagued with bile reflux or bile gastritis. When you understand the how and why of it occurring, you can understand the process to eliminate it. And heck, learning how your stomach works in conjunction with acid, bile, and all that good stuff is a nice thing to know. Right? I think so. 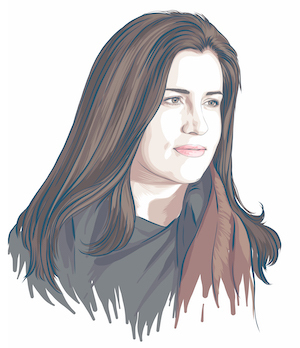 Here are some quick links to the best resource pages on the subject to help guide you. I’ve put them in the exact order for you to read. Start with A and read all the way through. By the time you have read all the pages, you will have a MUCH better understanding of your situation and how to overcome bile reflux or bile gastritis. And I will point you in the right direction to finally get some REAL relief! A. What IS Bile Reflux or Bile Gastritis Anyway? B. What Are The Typical SYMPTOMS of Bile Reflux? C. What Are The Common CAUSES of Bile Reflux? D. What Is GERD and Bile Reflux Disease? E. What Are The Best Treatment Options? 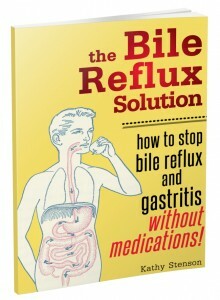 This “no fluff” guide will show you the KEYS to resolution of bile reflux the natural way.